pontoon� that he built himself. 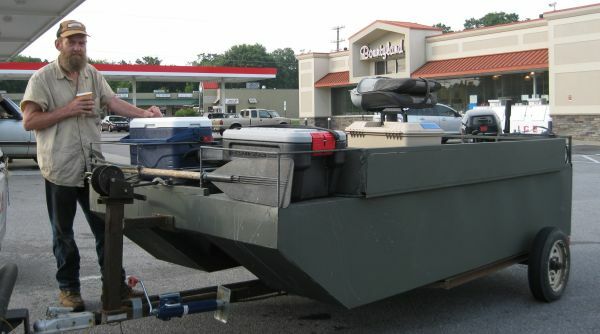 Justus runs a welding shop, and he said, �I wanted something that I really wanted.� So he built a boat that fitted him and it fishes great. The boat is 5 x 10 feet and weighs between 350 - 400 pounds and only draws about 3 inches of water. Justus said that he is still not finished working on the boat, but for now, he is going fishing.